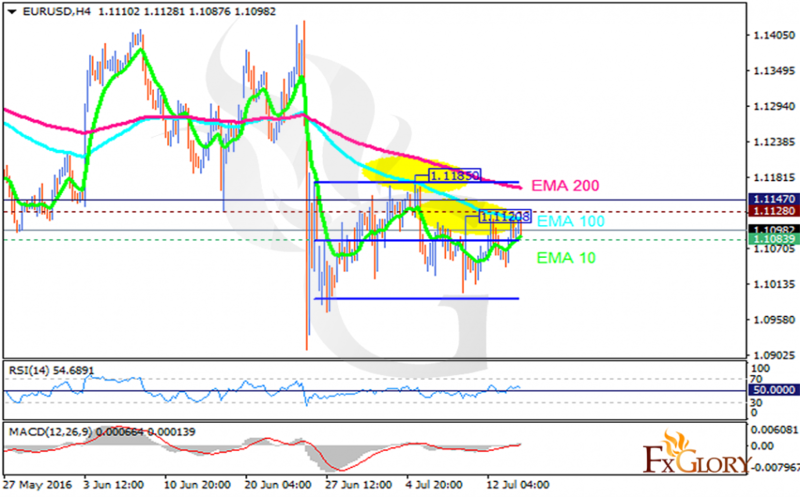 EURUSD is finding some stability around the 1.10 area until the US decision about its economy. Today EURUSD is moving with neutral bias around the 1.10 area. The support rests at 1.10830 with resistance at 1.11280 which both lines are below the monthly pivot point at 1.11470. The EMA of 10 is moving towards the EMA of 100 and 200. The RSI is moving around the 50 level and the MACD indicator is in neutral zone. It would be better for investors to take a rest for this pair at the moment since it is going to fluctuate within the support and resistance line today.